Landlords and property managers often encourage tenants to buy renters insurance. Some even make it mandatory. To understand why, it helps to take a look at how renters insurance works. When there is an event at the rental property, whether that’s a fire, burglary, or even bad weather, any resulting damage to the building itself is generally covered by the landlord’s insurance. If the tenant loses their personal possessions, this typically is not covered by the landlord’s policy. If the tenant doesn’t have insurance, they may have no money to replace their personal items. They lose everything. When that happens, a tenant may look to the landlord for compensation. Uninsured tenants are more likely to question whether the landlord was in some way negligent. Meanwhile, uninsured tenants may not have the money to recover, and still pay rent on time. Renters insurance often covers many common perils, including fire, storms, theft, vehicle damage, smoke damage, and vandalism. In addition to covering the loss of personal possessions, the liability portion of a policy can help a tenant who caused harm to the building or to other people, including their guests. It also may cover medical expenses. It is for this reason that some landlords and property managers require renters insurance as a condition to leasing the property. The landlord may need reimbursement in order to restore a unit that the tenant damaged. If renters insurance protection is in place, the landlord has a source of reimbursement for repairs or maintenance caused by a tenant’s negligence. Because the landlord’s bottom line is protected, the well-maintained property likely will retain a higher value, and that may in turn drive down the landlord’s costs, including the premiums for building insurance. In order to implement a mandatory policy on renters insurance, a landlord must include the provision in new leases. It may not be possible to change a current tenant’s lease to add the requirement until renewal. In deciding whether to make renters insurance mandatory, landlords must consider whether it will be more difficult to find qualified tenants with the restriction in place. That may depend on the average cost of a renters insurance policy in your area. 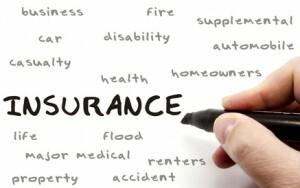 Tenants often are unaware of the need for renters insurance. Many believe that the landlord is responsible for any of their losses, and they are left unprepared to deal with the financial hardship that comes from being uninsured. On the other hand, when someone takes the time to explain to the tenants the risks they face, the value of renters insurance becomes apparent. When trying to decide how much insurance to purchase, tenants will be instructed to consider what it would cost to repurchase everything they currently own. An itemization is the best way to calculate that amount. It is also a good way for tenants to see how much they could stand to lose. I have an insurance waiver for them to sign with the lease and explain, in detail, that my insurance only covers the building and not any of their belonging. I also encourage them to get insurance, but cannot require it due to the lower income status of many of my tenants. It is the same reason that many do not carry life insurance when they should. They have other things to spend their limited resources on that they feel are more important and often believe that nothing will happen to them. Probably 70% of my tenants do not have it, but it isn’t because I never made them aware of it. Thanks for the good article.